Julius Delbos was born in London England in 1879. He was a lecturer, painter, watercolorist, engraver and teacher. He eventually moved to the United States becoming a member of the American Water Color Society, New York Water Club, American Artists Professional League, National Arts Club, Society of Graphic Arts and the Century Club. 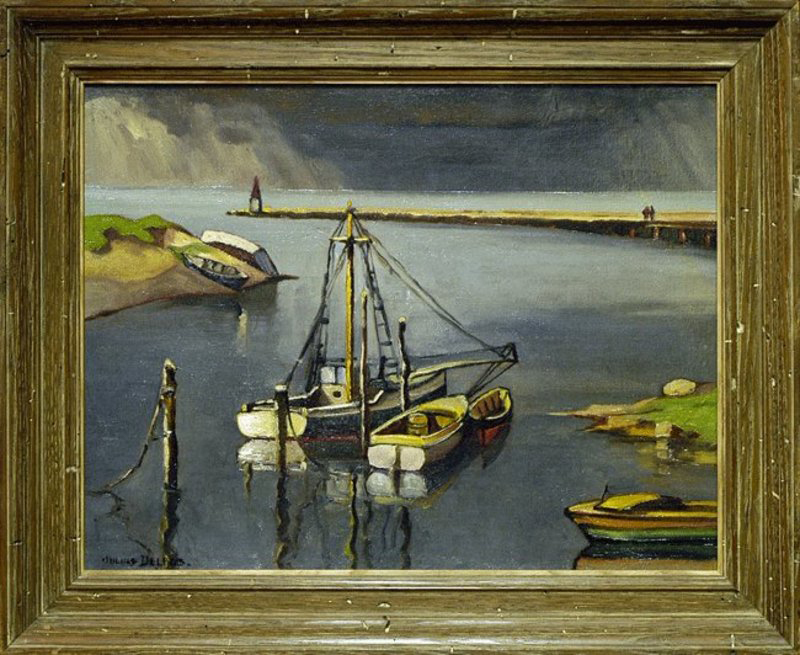 He eventually came to exhibit at the Corcoran Gallery, Washington D.C. (1930-37) and Pennsylvania Acacdemy of Fine Art (1930-36), National Arts Club, Connecticut Acacdemy of Fine Art and Society of Independant Artists. His work recieved awards at the New York Water Club and American Watercolor Society. His work can be found in numerous galleries in the United States including the Butler Art Institute, Toledo Museum of Art, Yale University Artists Guild, Brooklyn Museum of Art and The New York Public Library. He died in Dover New Jersey in 1970. He is listed in Who's Who in American Art, Mallett's Index of Artists and Mantle Fielding's Dictionary of American Painters, Sculptors and Engravers. His auction records in Davenports are extensive and strong.